Home » Bobcat » 2018 Bobcat Invitational Recap, Results, Interviews! Race Videos and Pics Coming Soon!! The 2018 Bobcat Invitational swelled to 26 teams and we would like to think it is because of the hay bales and history! For the second consecutive year, the Oyster River community organized a first class event complete with Revolutionary War reenactors starting each race with musket fire! As the preview stated, this year’s Bobcat intrigued many as early season invites usually do. Beginning with the boy’s side, by placing four in the top 10, Winnacunnet was able to turn the tables on defending champion Oyster River as they improved from their 2017 runner-up status to claim the 2018 title with 62 points to the Bobcats’ 83. Colin Donnelly (16:46) led the charge placing 4th with Jack Taylor (17:01), Austin Denis (17:09), and Noah Taracena (17:11) placed 6th, 9th, and 10th respectively. 10-second pack time for their 2-4 runners! Oyster River was led by Andrew O’Brien’s 8th place finish in 17:09 along with Owen Fleischer who placed 11th in 17:17. Rounding out their top 5 were Henry Duisberg (21st, 17:38), Ben Stone (23rd, 17:43), and Rowan Brown (25th, 17:50). Phillips Exeter gave Oyster River a run as they placed a close third with 92 points. Souhegan made a strong case to be state-ranked by defeating NH #8 team in Hanover 119- 149. The Sabers were led by Nathan Stine, who placed 14th in 17:22. He was supported by Thomas Headington (20th, 17:36) as well as the trio of Carter Schade (17:56), Ethan McFee (17:57), and Mason Silk (18:03), who placed 30th-32nd. 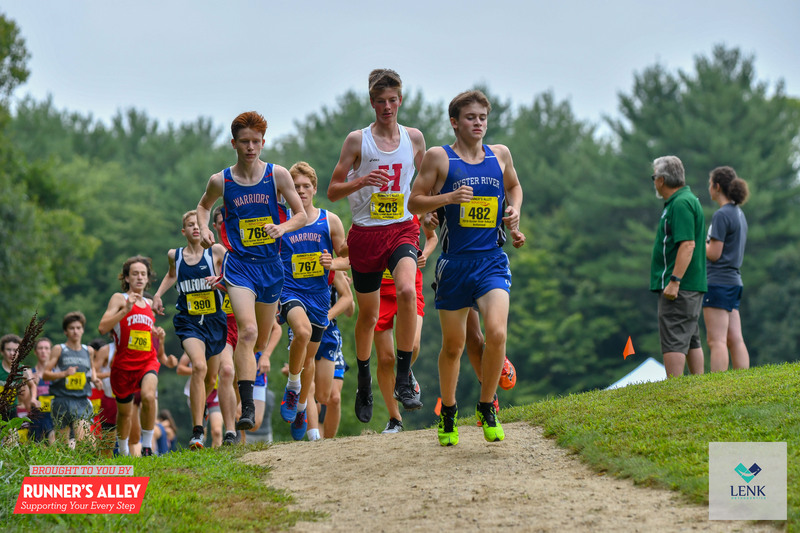 Hanover was led by Jack Lynch (17:24) and Daniel Bandler (17:43) who placed 15th and 22nd respectively. Individually MV’s David Reynolds used a strong start to run free and clear of the main throng of runners. Campbell’s Jeffrey Allen would join him within the first mile to take the lead as they entered and began to battle in the second woods loop. As they exited, it was clear the individual title would come down to these two as they ran stride for stride towards the final woods loop. But it was the defending champ Reynolds repeating as champion as he emerged from the woods the final time with a 20-meter gap to bring home the win in 16:21. Allen came in a strong second improving from last year’s time in 16:32. Will Coogan (PEA) probably had the fast second half of the race as he rose to third in 16:40 outlegging Donnelly in final half mile. Sanborn’s Dylan Khalil (16:57) placed 5th, Winnacunnet’s Taylor was 6th holding off Milford’s Caleb Korthals (7th, 17:03). OR’s Andrew O’Brien outleaned Winnacunnet’s Denis at the line to place 9th as another Warrior Taracena rounded out the top 10 in 17:11. 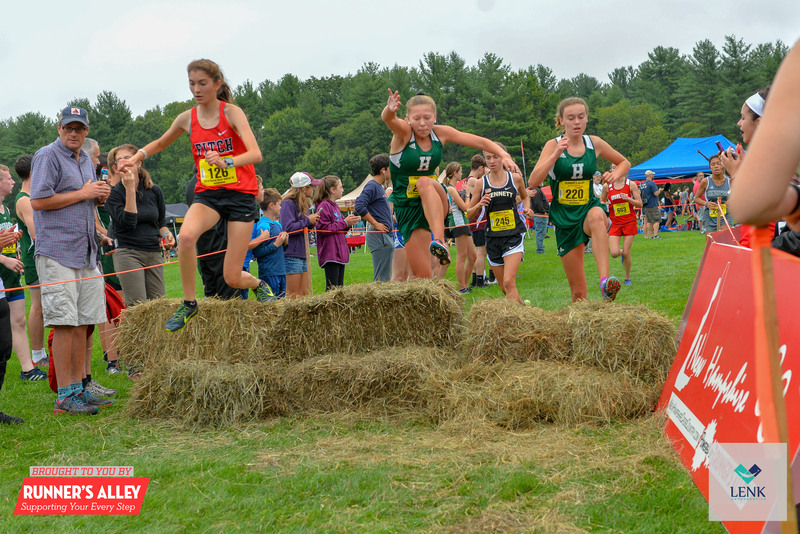 On the girls’ side, Merrimack Valley’s frosh Sophia Reynolds made it a sibling sweep as she won comfortably in 18:52. Milford’s Lauren Robinson placed 2nd in 19:20 outlasting Con-Val’s Rachel Hurley (3rd, 19:24), Souhegan’s Arielle Zlotnick (4th, 19:28) and Con-Val teammates Schuyler Michalak (19:34) and Clare Veverka (19:35) who outleaned Souhegan freshman Chloe Trudel (7th, 19:35). 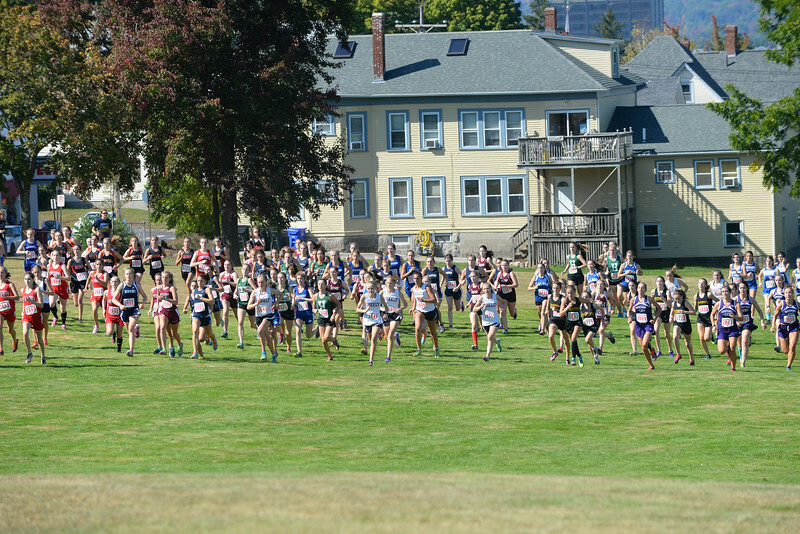 Sanborn’s Avery Scully posted yet another strong race to place 8th in 19:53, while Phillips Exeter’s Giovani Pisano edged PCA’s Liza Corso to place 9th in 20:11 to Corso’s 20:12 and rounding out the top 10. 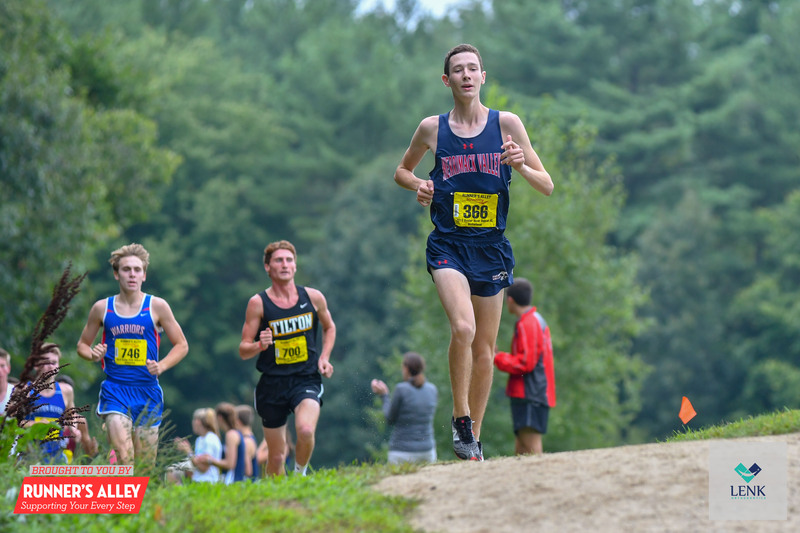 In the team race and in their first Bobcat Invite, Phillips Exeter Academy overcame Con-Val’s top three and Souhegan’s experience to claim their first Bobcat Invite title. Sporting a 1:07 pack time, supporting Pisano’s top 10 finish included Alexandra Van Dijkum (11th 20:28), Hanna Pak (14th, 20:47), Maddy Machado (16th 20:53) and Lucy Gilchrist (27th, 21:18). Souhegan edged Con-Val by 1 point (112-113)! Scoring in addition to Zoltnick and Trudell were Adrianna Zlotnick (33rd, 21:32), Jenny Ladd (36th, 21:38) and Sophie Unger (38th, 21:41). Host Oyster River, led by Lily Doody (20:49) and Madison Hoppler (21:31) placed 4th. 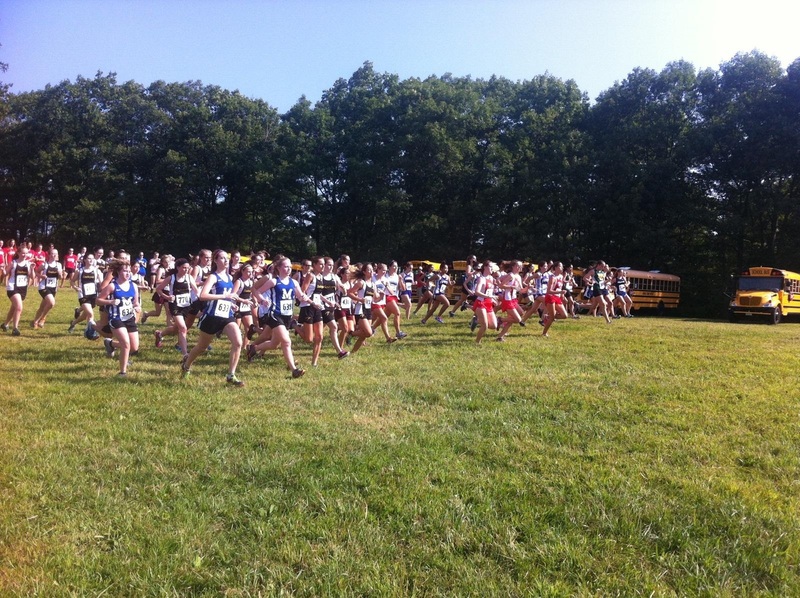 Kudos to Oyster River Cross Country staff, parents, and the town of Madbury for putting on a first class event!